Just had to say that I am officially in love with Austin Armacost, lol! Something about that kid drives me crazy! I’m starting a “Getting to Know You” section of my blog for reality stars. This is a quick reference way for you to be able to get to know a bit of the background on some of TV’s hottest reality stars and catch up on the drama in their lives should you be interested in checking out their shows. 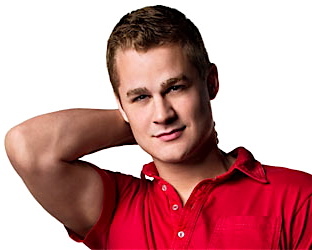 The cast of "The A-List: New York"
My first reality star is Austin Armacost. Austin stars on The A-List: New York. If you haven’t watched this show, you really should. It’s got all the drama of The Real Housewives, but they up it a notch. So far, Austin appears to be the biggest pot stirrer on the show. Austin was originally in the tabloids for his high-profile relationship with designer, Marc Jacobs. According to Austin, Marc’s one rule in his house was that Austin was never to bring any “friends” over. However, Austin broke that rule, and Marc threw him out of the house they shared in Europe. Austin, prior to meeting Marc, was a NY fashion model, but after breaking up with Marc, he put on a few pounds. He still looked amazing, but not amazing enough for a fashion model. Austin, post breakup, quickly moved back to NY with the goal of getting back on “The A-List”. He ended up getting on Logo’s “The A-List: New York” which also starred an ex-fling of his, Reichen Lehmkuhl. Austin wanted to rekindle his “relationship” with Reichen, but Reichen had a new boyfriend, Rodiney Santiago.